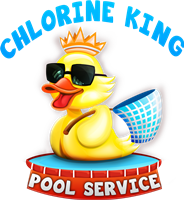 Our podcast is another great pool cleaning service resource for all of you to utilize. We'll go over all types of swimming pool specific problems from basic water chemistry to troubleshooting specific problems. Stay tuned for the guests that will be on the show from customers to people in the swimming pool industry! If you have any questions for our podcast please don't hesitate to contact us and pose a question that will be answered in future episodes!